A bespoke service for our clients. An important part of our wine-buying trips to France is facilitating the shipment of the wines you purchase from the different wineries that you visit with us. Our long experience in the field enables us to propose an efficient and cost-effective package so that those precious bottles that you so lovingly selected during your trip get to your home and down to your beloved cellar in the best possible condition. To manage this we work very closely with the finest shipper in Burgundy, Côte d’Or Imports. Since 2006, Cote d’Or Imports, based in Nuits Saint George and Portland Oregon, has provided legal custom import services for wine collectors and visitors to France. Located and specialising in the Cote d’Or region of Burgundy, imports are possible from all regions of France. Cote d’Or Imports’ group wine order program is the most comprehensive solution to put together a collection of your favourite French wines at home. Pricing is based on the amount of wine exported from France, delivered to you at one time. You will be visiting and possibly buying from a number of different wineries during your wine-buying trip, therefore you will open a « Group account » with Côte d’Or Imports. This will enable them to group together and consolidate your purchases for shipment back to the States. The individual wine-makers will charge and invoice you ex-VAT (less the 20% VAT) for your purchases from them (minimum order 6 bottles) and then forward the order form and the invoice to Côte d’Or Imports. At the end of your wine-buying trip, Côte d’Or Import will be in possession of all your purchase orders and will bill you for the shipment and insurance costs. You will receive a confirmation e-mail from the US team when your order has been processed in France. One cannot mix bottles and magnums. Partial cases will be calculated to the next highest bottle count for billing purposes. All individual wine orders are grouped together into shipments that depart from France approximately once a month, more frequently in the spring and fall. The shipment is then cleared through customs (in Oregon for delivery to the western half of the country and New Jersey for the eastern half) and delivered to you via ground delivery. Timing for delivery depends upon when your order is placed, when we receive it in our French warehouse and when the last shipment departed. Therefore, lead times for delivery can range from 4 to 8 weeks from the time we have your wines in our possession in France. We are specialised in shipping wine, therefore will be taking every needed precaution to avoid any risk of damage during transit due to extreme weather conditions. If this means storing your wine in our temperature controlled warehouse until the weather is appropriate to ship, we will do so free of charge. 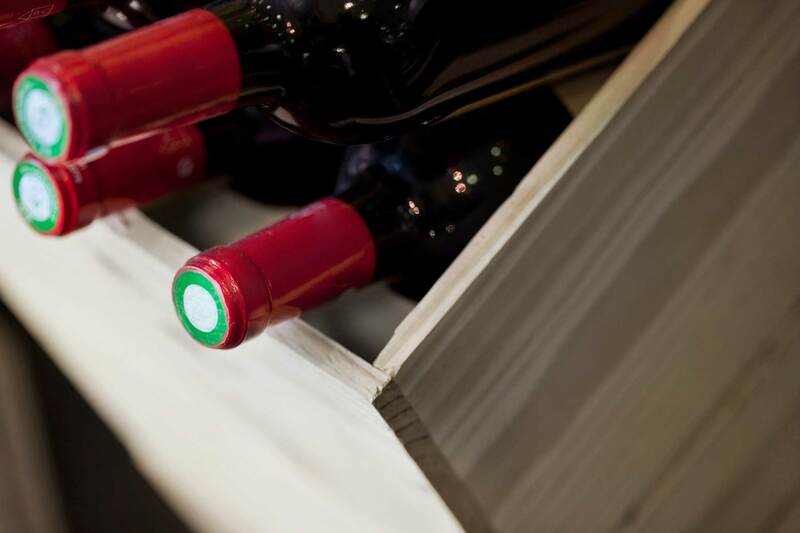 There may be openings during the cold and hot weather conditions where your wines can be expedited for additional fees instead of free storage. These options will be presented to you if the situation arises. It is illegal under state laws to deliver wine to consumers in PA and UT. If you live in one of these states, please contact us for other options. In Alabama, wine must be delivered to a state store for an additional fee of approximately $4 per case of 12 bottles. You will pay that fee upon pick up. Côte d’Or Imports will be in contact with you to determine the most convenient state store for delivery. New Hampshire charges a state tax of 8% of the total value of the wine for direct shipments to consumers. This is to be paid at the winery when you pay for wine, insurance and shipping fees. Hawaii requires additional fees of 85 Euros/case of 6 or 12 bottles Alaska -shipping is possible for additional fees of 35 Euros/case of 6 or 12 bottles and delivery possible from June 1st to September 30th. Orders received outside of that window will be stored in Côte d’Or Imports US warehouse until delivery is possible. Prices include French logistics, export customs, international air freight, US customs clearance and duty, reconditioning and US delivery via ground transport (UPS or Fedex). Insurance fees cover breakage, loss and wine specific damage like seepage during transit. Please open your cases immediately upon delivery and let us know by e-mail (within 36 hours) if you have any concerns. Please provide photos whenever possible. Get loads of content with our newsletter to learn more about French wine, history, & culture. We will not send you more than 2 emails per month. We know how precious your inbox is to you.